Reading is a filthy habit and there is nothing worse than the tell-tale odour of fusty old volumes. If only there was some way of avoiding the social embarrassment when visitors to your home are assailed by the mouldy and damp stench of your disgusting addiction. Well now there is. 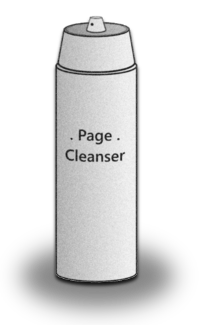 Page Cleanser is a brand new book deodorant, developed specially for hopeless page turners who are unable to put a volume down. People like Naomi Spine. "I usually get through twenty or thirty novels a week," Naomi told us. "Sometimes more if I'm particularly stressed. It's a habit I've had for a long time. I started out with the odd pamphlet, occasionally experimenting with a novella. Before I knew it I'd developed a taste for bestsellers and then I was hooked. I even got involved with encyclopaedias at one point, but thankfully it didn't go too far. "It was my friends and family who first alerted me to the fact that I had a problem when they pointed out that my house stank like a cross between rotten fruit and a mildewed sports sock. I realised I had to do something so I tried cutting back but that didn't work. Then I had a go at rolling my own magazines, but it was the same story. "That's when I heard about Page Cleanser and decided to give it a go. 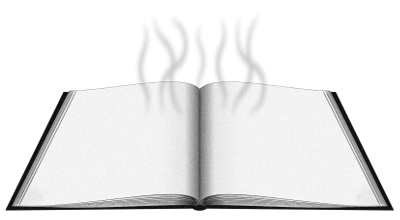 Simply by spraying the pages of my favourite volumes I can eliminate that dirty book smell and leave my house smelling as fresh as a daisy. And now no one knows my filthy secret. Thank you Page Cleanser!"